A Shrewsbury integral health expert is launching a campaign to help people improve their health in just 15 days. Ben Calder, the founder of Shrewsbury’s Centre for Integral Health, is running a series of daily Facebook Live tutorials to give free health and wellbeing tips and advice. The 10-minute tutorials will focus on self-awareness and mindfulness practices, exercise and diet and nutrition. They will take place live at 9am every day, from Thursday April 19 through to Thursday May 3 and can be accessed via the LifeForcePatterning/ Facebook page. Ben, who treats clients from across Shropshire, Mid Wales, Cheshire and the Midlands, said he wanted to mark 15 years since he qualified as a practitioner in a way that could help other people after his own health was transformed 20 years ago. It was a life-changing experience that inspired him to turn from a teaching career and retrain as a therapist. “Each day the tutorials will focus on different tools that people can use to help improve their own lives, happiness and health,” he said. From the age of 11 to his early 20s Ben suffered from severe allergies that had a debilitating affect on his daily life. Conventional treatments had helped to control symptoms but they came with long-term side-effects and failed to provide a cure. So he started looking for alternative treatments and discovered kinesiology, a therapy system that aims to identify imbalances within the body. An allergy to cane sugar was found to be the main cause of his condition and his health completely transformed after excluding it from his diet. “Within a few months pretty much all my symptoms had disappeared. It was life changing for me. I went from being really unwell and having my life affected every day to thinking about being alive and doing things that made me happy,” said Ben. 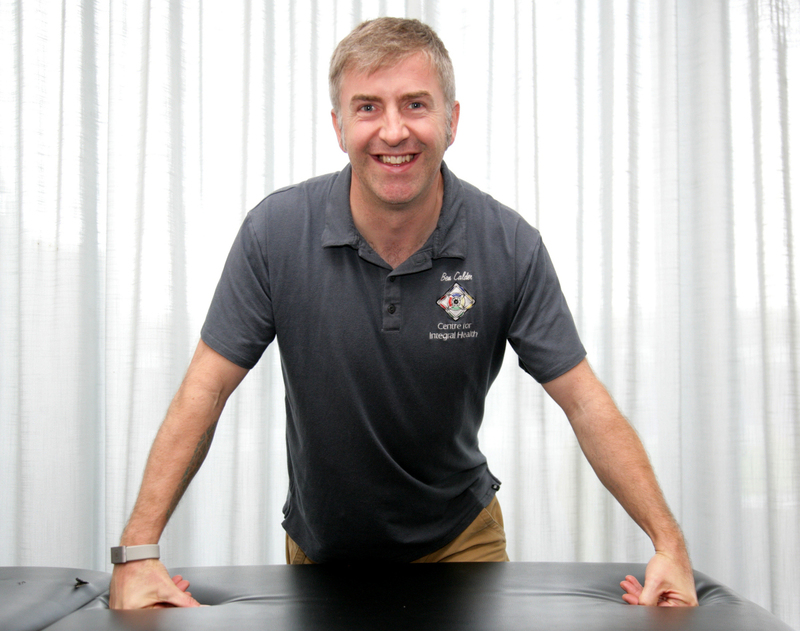 Ben undertook four years of training to become a kinesiologist himself and qualified in 2003. He has since qualified in other therapy services including Bowen Technique and allergy testing. He launched his first practice in the Pride Hill Centre, Shrewsbury in 2003. In August 2013 he set up the Centre for Integral Health, in St Austin’s Friars, and now has 34 therapists working alongside him.